April 1 : New gabion sets are now available. The gun gin - an A frame for barrel repleacement is also now available. 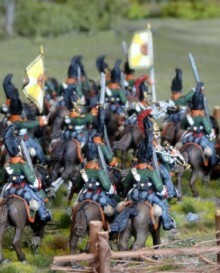 Two new cavalry deals for Swedish regiments AT THE READY and CHARGING are also now available. See us at SALUTE in London where we'll be on the Victrix stand.